The three-day annual conference of the deputy commissioners (DCs) will be held in the capital from July 24 to 26. The main programme of the DC conference will be held at Shapla Hall at Prime Minister's Office at 10 am, said Cabinet Division Secretary (Coordination and Reforms) NM Ziaul Alam at a press briefing on Monday. A view exchange meeting will be held with Prime Minister Sheikh Hasina around 11:30 am on the first day of the conference, he said. At least 18 working sessions will be held in this year’s conference and ministers, advisors, state-ministers, deputy ministers and senior secretaries of 52 ministries and divisions will participate in the conference. Some 347 proposals made by the DCs will be discussed in the conference, he added. The main topics of the conference are—land management, development of law and order situation, local government establishments, disaster management, relief and rehabilitation, poverty redemption, social securities, using of information communication and technologies, development of the quality of education, health services and development activities and implementation of the activities. 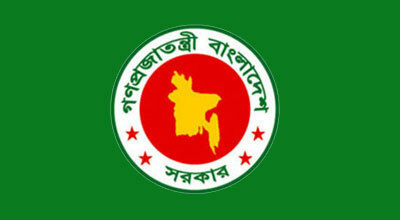 The deputy commissioners will also meet President Abdul Hamid at Bangabhaban during the conference at 7:30 pm on July 25. Besides, they will exchange views with ministers, advisers, state ministers and secretaries on the following day.